Cast off knitting, securing the stitches to finish. 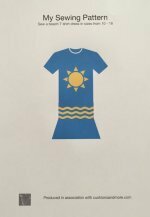 Wondering how to cast off knitting once you have learned how to cast on knitting and have completed your item? The knitting stitches need to come off the knitting needles and in a way that the stitches will not unravel. This is one of the basic steps in knitting as you could be making a very long scarf or a very large blanket not to mention knitting squares!! 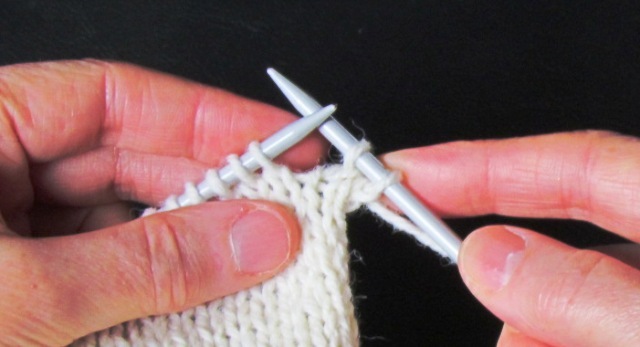 If a diagonal knit is done then the stitches will need to be increased and decreased. 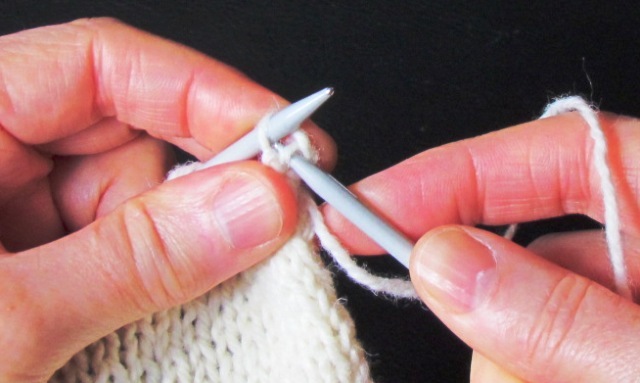 Remember that knitting is basically a number of loops linked together in different ways and to take back knitting or unravel it just remove the needle and pull the strand of wool that has been making the stitches. It is a good idea to wind it back onto the ball of wool so it doesn't knot up. 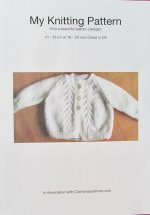 The casting off or finishing knitting can be done on either a knit or a purl stitch. 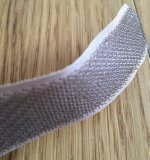 Casting off usually takes place at the start of a row and only uses two stitches at a time. For ease of explanations the needle with the stitches on will be called the first needle and the one without stitches will be called the spare needle. The pictures show the knit side of stocking stitch so this way will be described. Casting off can also be done with an all purl side. Take the spare needle and knit two stitches from the first needle. 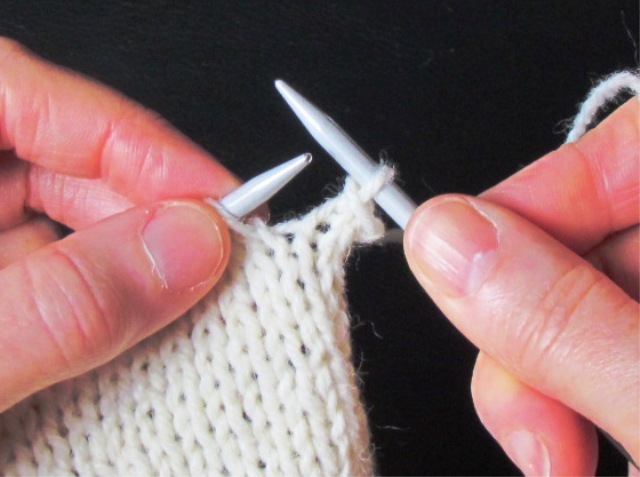 Bring the tip of the first needle and insert it into the first stitch loop knitted, which is the one furthest away, on the spare needle. Making sure that the second stitch is kept on the spare needle bring the first loop over the top of the second loop. The wool may need to be eased a little if the knitting is a bit tight. As the spare needle is brought through the first loop push the needle forward to keep the second stitch on the needle. The number of stitches on the spare needle is now one and the first loop is lying across the second stitch locking it from becoming undone. The second stitch now becomes the first stitch therefore another stitch is knitted ready for the next stitch to be brought over the top of that stitch. Continue along the row , when the last stitch is reached the ball or strand of wool has to pass through the loop and secure it in place by pulling tight. 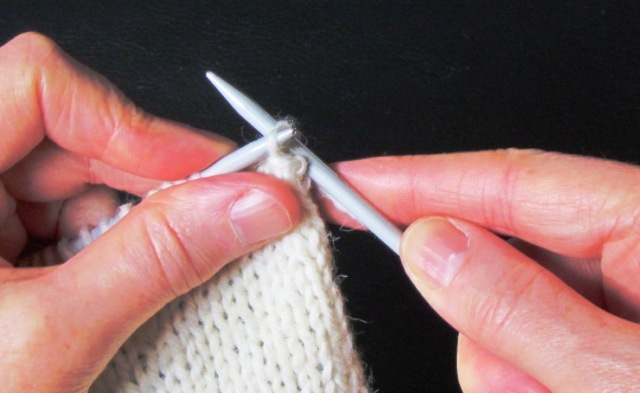 Some stitches can be cast off knitting needles in the middle of the row, Knit the amount of stitches you need to keep at the start on the spare needle then knit two and begin to cast off. When the stitches have been cast off continue knitting the rest of the row.